Rain, rain go away come again another day!! This is the favorite song of my girl and she was singing this song on the way to the canteen. 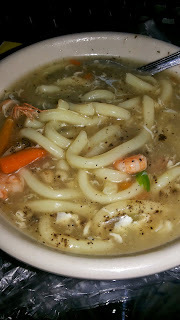 Anyway, try this lomi from Neng. Its so perfect for a cold and rainy Wednesday. Why is it Fun in the Philippines?